Manistee County is home to the Manistee National Forest, three Lake Michigan harbors, 25 miles of sandy Lake Michigan shoreline, and 80 miles of the North Country Trail. With four distinct and equally wonderful seasons, residents keep their beach sandals, hiking boots, golf clubs, fishing poles, and snowshoes handy. Manistee County and its 26,000 residents live in the heart of northern Michigan's natural beauty. It is the gateway to the popular M-22 Scenic Highway, voted Best Scenic Autumn Drive by USA Today. From its dune-filled coastline to woods to rivers, there is a lot to explore in Manistee County, including 10 charming communities. The Victorian Port City of Manistee features a downtown district with shopping, dining, and entertainment. 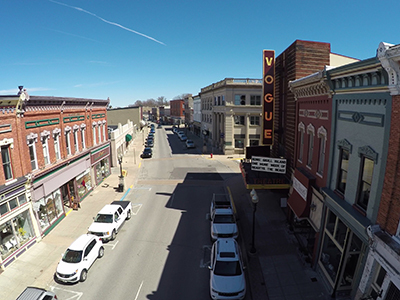 With the Historic Vogue Theatre, the Ramsdell Theatre (where James Earl Jones got his start), numerous galleries, and frequent music events, Manistee has a vibrant arts and cultural community. The Manistee community embraces every reason to celebrate throughout the year. During October, the S.S. Milwaukee, a 77-year old Great Lakes ship permanently moored in Manistee, is open for tours and transforms into a Ghost Ship, and the community Paints the Town Pink for breast cancer awareness. The annual Victorian Sleighbell Parade and Old Christmas Weekend each December will transport you to another time. Learn more about life in Manistee. Manistee Hospital’s skilled, compassionate, and friendly staff make our hospital a great place to work. Being a Manistee Hospital employee is like being part of a family, all of whom share the same goal of providing exceptional care to our community. 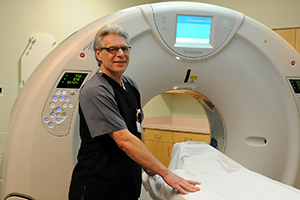 Manistee Hospital is known as an early adopter of emerging diagnostic technology. It was the first hospital in northern Michigan to acquire a 160-slice low dose radiation CT scan and it is among the first to offer advanced breast cancer screenings with 3-D tomography. Manistee Hospital has earned The Joint Commission’s Gold Seal of Approval® for Hospital Accreditation by demonstrating continuous compliance with its performance standards. The hospital partners with West Shore Community College, Baker College, Ferris State University, and Grand Valley State University.